What comes from a Mooyah and tastes like fall? If you’ve been around this week, you might have seen my cold version, Pumpkin Spice Breakfast Shake… which is delightful. But it was cloudy and cool today, so this Pumpkin Spice Steamed Milk totally hit the spot. If there is one thing that I love, love, love about this blog is that it makes me stretch my brain and make new things. My boys all appreciate that. 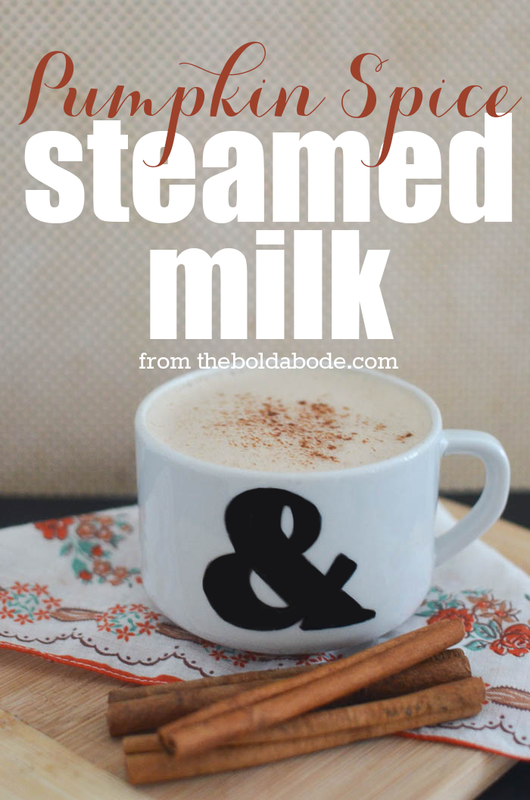 Like they appreciated this steamed milk. 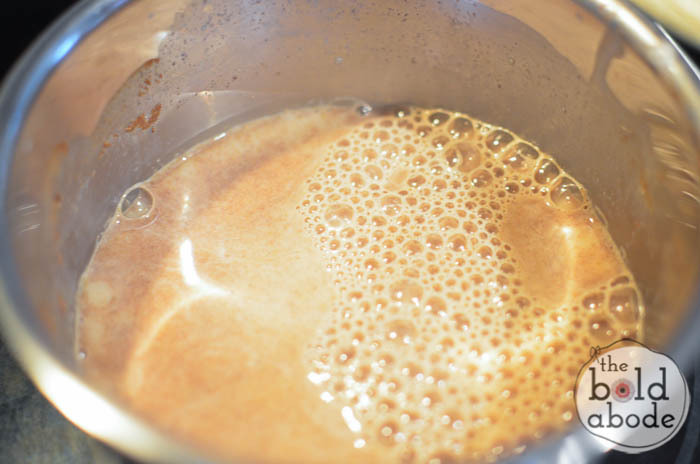 You want to heat is up until it is nice and steamy with bubbles around the sides. Don’t let it go to a full boil. Very Important. If you do, you’ll have milk all over the place. And I mean ALL OVER. 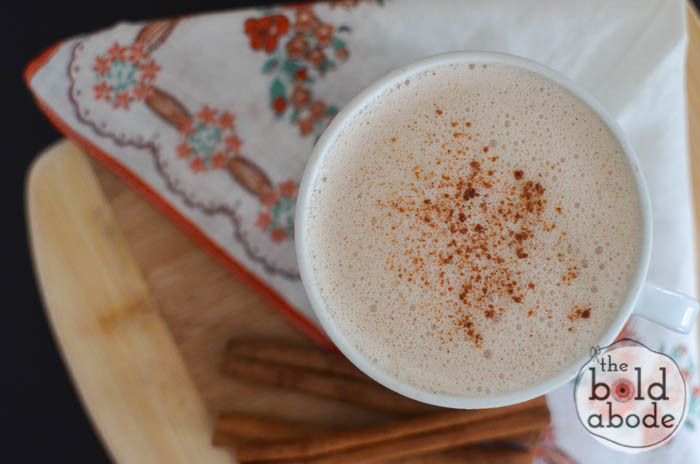 Froth it up in your blender. I use one of my single serving fellas from my Ninja. And that, my bold bffs, is it! Can you smell it? Pumpkin pie in a mug, yoz. 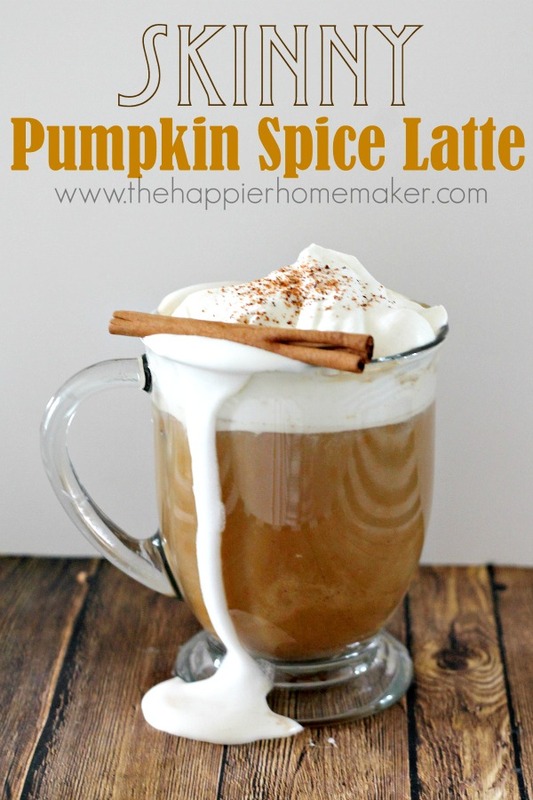 This post was inspired by The Happier Homemaker’s Starbucks Inspired Skinny Pumpkin Spiced Latte. Pop over and check it out if you prefer a coffee version! Prefer Cold Drink Fun? 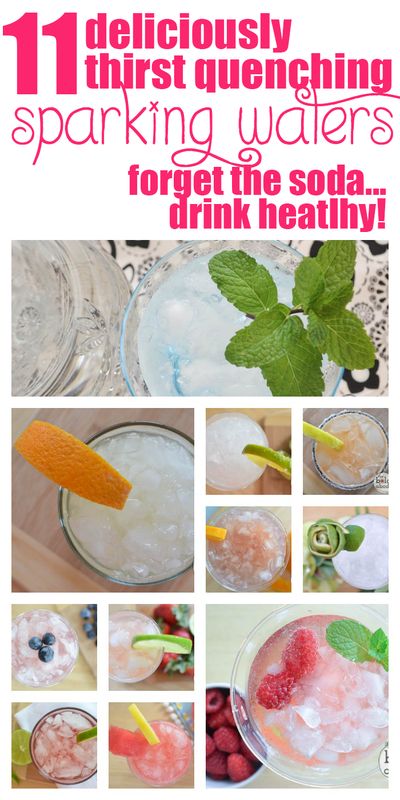 Check out my 11 Deliciously Thirst Quenching Sparkling Waters! yummy!!!! i am coming over for mine! i’ll bring the fresh eggs. Anytime! I’ll make you a vat… and I’ll take fresh eggs off your hands. They are the BEST! I am alllllll over this! Maybe I can kick coffee with this yummy stuff in my mug!! Yes please! Fall in a mug.